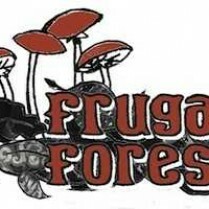 The FRUGAL FOREST will be an intricately detailed installation created entirely from salvage, grown by artists, musicians, scientists and community on the Mid North Coast. Imagine a twilit space. You walk along a path, your footfalls softened by leaf litter. Overhead, trees and palms vanish into darkness, and around you ferns and fungi flourish. The space is filled with the sounds of creatures welcoming the dawn. But as you listen and look, you notice faces in the leaf litter, hand worked from thousands of old photographs; reeds that might once have been packing strap, a hint of barcode in the bark. The soundscape slides into sounds that you might almost recognise from everyday objects. Since 2013, this is what artists, musicians, scientists and community across the Mid North Coast have been working towards. The concept: that a forest is a living, breathing example of a sustainable system. Dead matter becomes nutrients for new life, one thing’s waste is another’s opportunity, and there is no such thing as a dump. Facing an imminent future of dwindling resources and a growing waste problem, humanity could learn a lot from that. Through re-imagining, we are discovering the immense value embedded in everyday discards. The Frugal Forest will premiere as a free public exhibition at Glasshouse Port Macquarie in January 2016, and a regional tour is growing. 2015 will be a production year: we’ve laid the groundwork, and now we need to design, record and build. Every step of the process will be inclusive via our website, social media, short films, an education kit and hands-on workshop. Over 530 people have participated so far, with many more to come. The creative team is led by Bryony Anderson, composer Rae Howell and educator Chay Khamsone. Our steering committee includes artists, crafters, scientists, waste and community development experts, and an evaluator. The Frugal Forest is a One Off Makery project, supported by Midwaste Regional Waste Forum. Your donation will allow us to bring the Frugal Forest, three years in the making, to presentation stage. It will help cover: – Fees for key artists, composers and scientists as well as Hastings locals in a variety of roles, a total of 18 people, – costs such as materials, transport, publicity and technical requirements, – A three-day camping intensive in April 2015 that will bring ecologists, artists, and community together to be immersed in research and design, – development of constantly growing content for our program of community workshops, – the creation of short documentary films to be uploaded and screened on site, – a launch and premiere at Glasshouse Port Macquarie in January 2016, – artist talks, workshops and guided tours for the duration of the free public exhibition. Bryony Anderson is a designer, maker, and artist based in rural NSW. Her puppets and constructions for visual performance have toured nationally and internationally with such companies as My Darling Patricia (The Piper/ Africa/ Night Garden/ Posts in the Paddock), Born in a Taxi (Whale’s Tale/ Boat of Faith), Theatre of Image (Monkey/ Stella and the Moonman/ Lulie the Iceberg), Erth (The Garden/ Nargun and the Stars/ Petting Zoo/ Dream of the Thylacine), Malcolm C. Cooke (The Hobbit/ The Lion, the Witch and the Wardrobe), as well as Fleur Noble, Polyglot, Chamber Made Opera, Puppetvision, and more. She has made life sized dinosaur puppets for the LA Museum of Natural History (1/2 million viewers in the first two years of performance), the Auckland Museum and the Museum of Victoria; been the subject of a documentary for the Tasmanian Museum and Art Gallery on artist processes; and conducted community workshops in the Central Desert, rural Victoria, and Western Sydney. As an exhibiting artist, she has had three solo exhibitions ranging from intricate illustrations to a hand built projection machine (Scape-o-Matic, Wollongong City Gallery 2004), and the interactive installation Pets and Livestock. She was a Trainee Puppetmaker with Skyworks Studios, a scholarship student at Wollongong University and received her BCA in 1999. Bryony established One Off Makery in Pappinbarra, NSW in 2011. Their first community project, Salvage Spider, was constructed entirely from salvage and mounted in the Glasshouse, Port Macquarie in 2013.